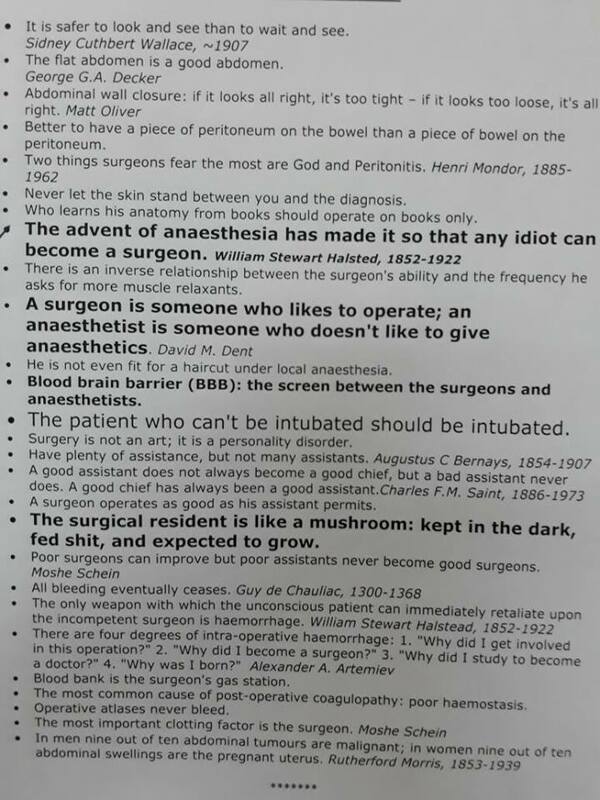 Here are a few assorted quotes related to the branch of Surgery. You might have read and heard a few of these before. Some of them are really amusing. Cheers to the passion of learning surgery!